George celebrated his 90th birthday in May of this year and was at Turf Moor as recently as the home game against Swansea in April. 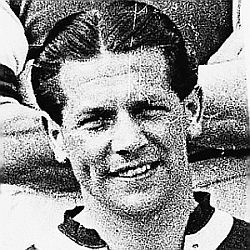 Having made his debut in February 1939 he was the only Burnley player from the pre-war era still alive. He played only nine games for Burnley before a knee injury brought his playing career to an end but for years he worked as a scout for the club before moving on to become a scout at Manchester United in the 1980s. This is further sad news following the loss of Gordon Haigh and our thoughts are with George's family and friends at this very sad time.